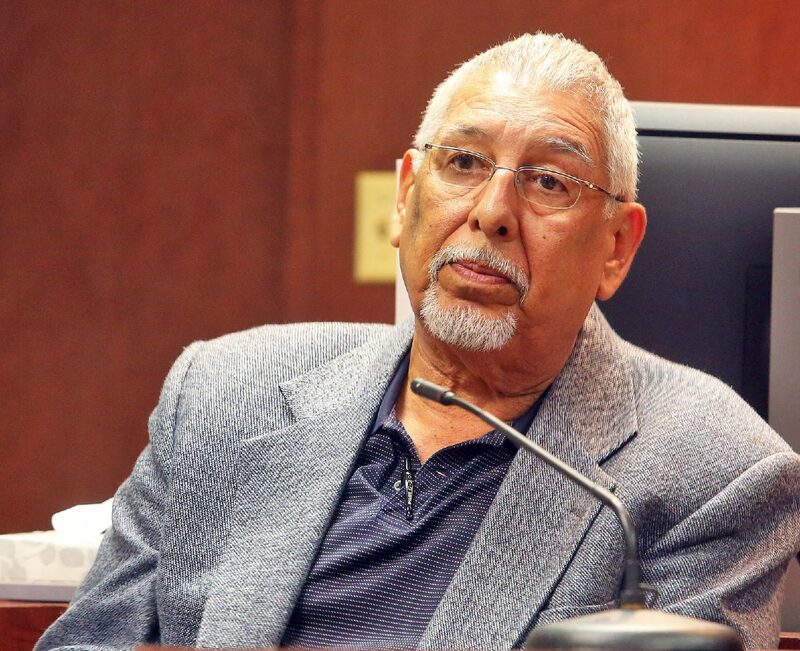 EDINBURG — The attorney for a bondsman facing a forfeited $50,000 bond will appear in court Monday to argue why his client should receive a new trial. A jury decided in April that the bond Arnaldo Corpus posted for former Hidalgo County District Clerk Omar Guerrero should be forfeited to the county after Guerrero failed to appear in court four years ago for an arraignment hearing for tampering with the identification number on an assault rifle. Guerrero is believed to have fled to Mexico. In his motion for a new trial filed last month, Corpus argued that Judge Rodolfo “Rudy” Gonzalez erred during the single-day trial by preventing Corpus’ attorney, Oscar Alvarez, from calling county Court-at-Law No. 1’s bailiff to the witness stand. The bailiff at the time, Corpus and his attorney allege, did not call out Guerrero’s name distinctly three times at the door of the courthouse, as required by the Texas Code of Criminal Procedure. They also argue that the bailiff Alvarez intended to call “had no personal knowledge of the events in question and could not provide any relevant testimony,” as he was not employed by the judge at the time of the 2013 arraignment. Gonzalez will hear oral arguments from both sides and possibly issue a ruling Monday, if not at a later date. If the judge denies Corpus’ motion for a new trial, Corpus could appeal the ruling, which would require him to post a $50,000 supersedeas bond — an appellate bond — to prevent the state from enforcing the judgment during the appeal process.